As the summer draws to a close and many of our junior members return to school, the final league race for all junior dinghies will take place next Tuesday evening at the slightly earlier briefing time of 5.10pm. Two short races in the river (weather permitting) with a separate start for optimists , toppers , lasers and mixed dinghies. 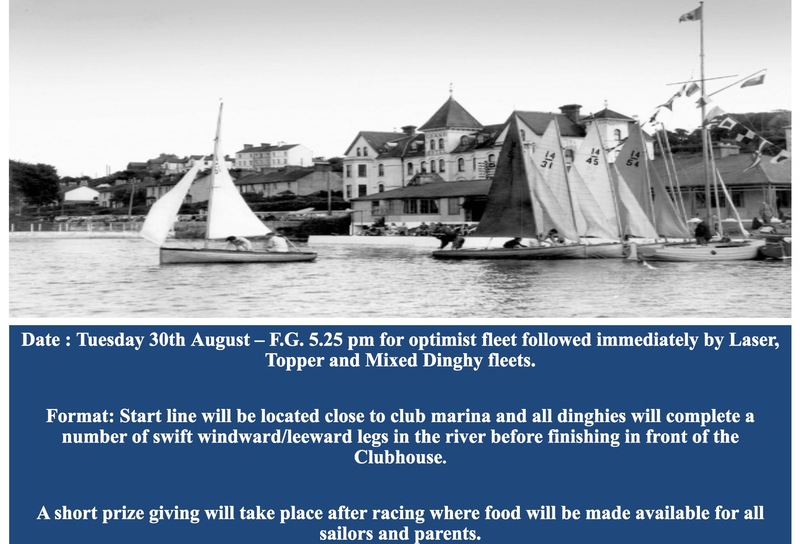 After racing (circa 7pm), there will be a short prize giving where food will be available in the dining room for all the sailors and parents who may wish to eat. We look forward to seeing as many dinghies as possible on the water.